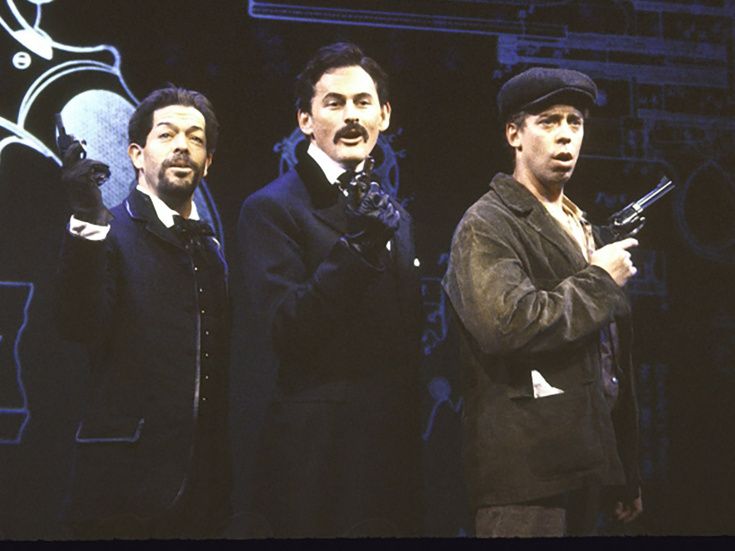 A new staging of Stephen Sondheim and John Weidman's 1990 musical Assassins has been announced to appear at Classic Stage as part of the company's 2019-2020 season. The off-Broadway nonprofit's newest lineup of productions will also include Shakespeare's Macbeth and a pair of beloved gothic plays performed in repertory. Artistic Director John Doyle, said, "All of the works this season explore disturbing aspects of humanity. Yet they all have beauty. There's nothing more poetically beautiful than Macbeth's 'Tomorrow and tomorrow and tomorrow' speech; there's tenderness in the two gothic plays; there's so much humor in Assassins—and such deep psychological and social insight in all of them." The season will kick off with a new interpretation of Macbeth (October-December 2019) directed by Doyle. He will also helm the revival of Assassins (April-June 2020), which first appeared off-Broadway at Playwrights Horizons in 1990 and was later seen in a Tony-winning Broadway production with Roundabout Theatre Company in 2004. The centerpiece of the Classic Stage season will be repertory stagings of Bram Stoker's Dracula and Mary Shelley's Frankenstein (January-March 2020). Casting, additional creative team members and exact production dates will be announced at a later time.